When the path of the load current is cut short because of breakdown of insulation, we say that a 'short circuit' has occurred. The insulation can break down for a variety of reasons, some of which are listed in Section 1.2. Figure 1.1 shows a single line-to-ground fault on a transmission line due to flashover of spark gap across the string insulator. 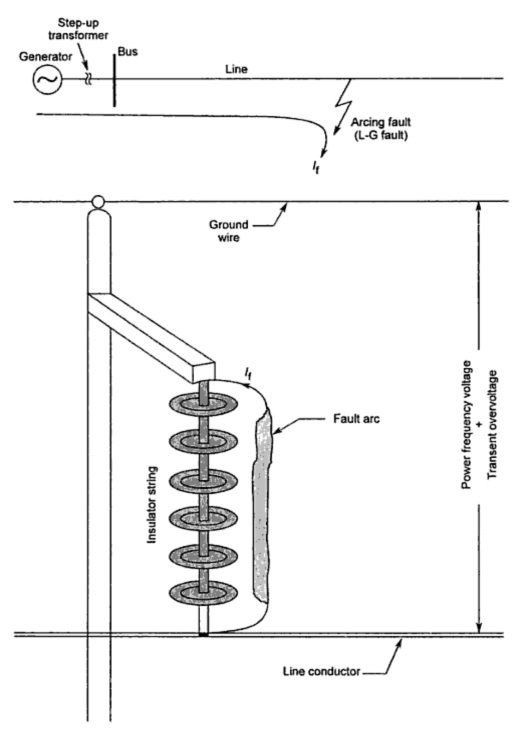 Figure 1 Single line-to-ground fault due to flashover of insulator string. Such faults due to insulation flashover are many times temporary, i.e. if the arc path is allowed to deionize, by interrupting the electrical supply for a sufficient period, then the arc does not re-strike after the supply is restored. This process of interruption followed by intentional re-energization. In low-voltage systems up to three reclosure are attempted, after which the breaker is locked out. The repeated attempts at reclosure, at times, help in burning out the object which is causing the breakdown of insulation. The reclosure may also be done automatically. In EHV systems, where the damage due to short circuit may be very large and the system stability at stake, only one reclosure is allowed. I is the fault current in amperes. The overvoltage may be either internal (due to switching) or external (due to lightening). If the power system just consisted of isolated alternators feeding their own loads, then the steady-state fault currents would not be qpch of a concern. Consider an isolated turboalternator with a three-phase short circuit on its terminals as shown in Figure.2. Assuming the internal voltage to be 1 p.u. and a value of synchronous impedance, Xd = 2 p.u., the steady-state short-circuit current would only be 0.5 p.u. which is too small to cause any worry. However considering subtransient impedance, Xd'' = 0.1, the subtransient current would be 10 p.u. 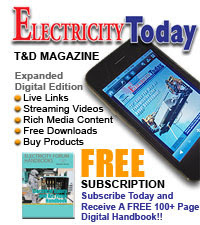 We must not, however, forget that in an interconnected power system all the generators (and even motors) will contribute towards the fault current, thus building up the value of the fault current to couple of tens of times the normal full-load current. 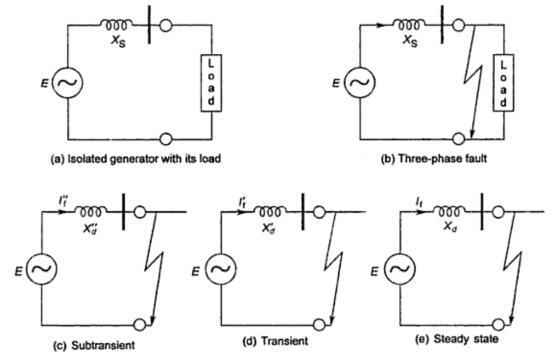 Figure .2 Isolated generator experiences a three-phase fault. Faults, thus, cause heavy currents to flow. If these fault currents persist even for a short time, they will cause extensive damage to the equipment that carry these currents. Over-currents, in general, cause overheating and attendant danger of fire. Overheating also causes deterioration of the insulation, thus weakening it further. Not SO apparent is the mechanical damage due to excessive mechanlcal forces developed during a over-current. 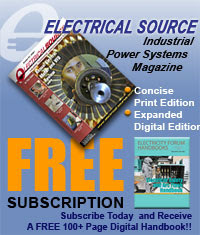 Transformers are known to have suffered mechanical damage to their windings, due to faults. This is due to the fact that any two current-carrying conductors experience a force. This force goes out of bounds during faults, causing mechanical distortion and damage. Further, in an interconnected system, there is another dimension to the effect of faults. The generators in an interconnected power system must operate in synchronism at all instants. The electrical power output from an alternator near the fault drops sharply. However the mechanical power input remains substantially constant at its prefault value. This causes the alternator to accelerate. The rotor angle 6 starts increasing. Thus, the alternators start swinging with respect to each other. If the swing goes out of control, the alternators will have to be tripped out. Thus, in an interconnected power system, the system stability is at stake. Therefore, the faults need to be isolated as selectively and as speedily as possible.